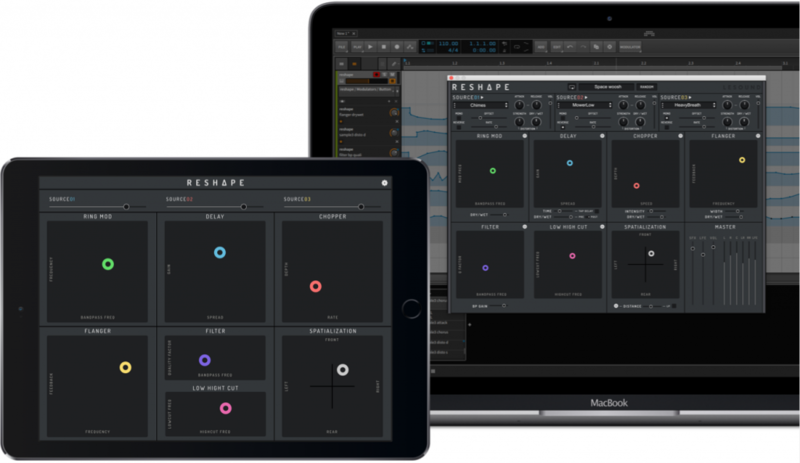 Reshape is a touch-to-play sound design tool based on exploring gesture usage to give new expression means to sound creators. 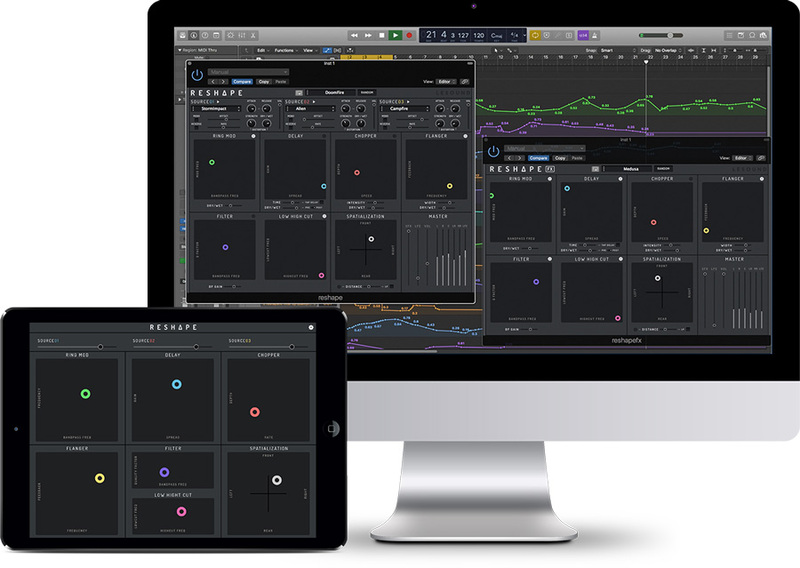 By using gestures with mouse or multi-touch interface (Reshape Touch on iOS/Android), sound designers will be able to create and shape sounds in real-time, just like the way a musician plays an instrument with expressiveness. Reshape is composed of two parts: Source panels and Effect panels. There are three layers (01-03) of Samplers, which allows superposition of up to 3 sounds before the effect process. 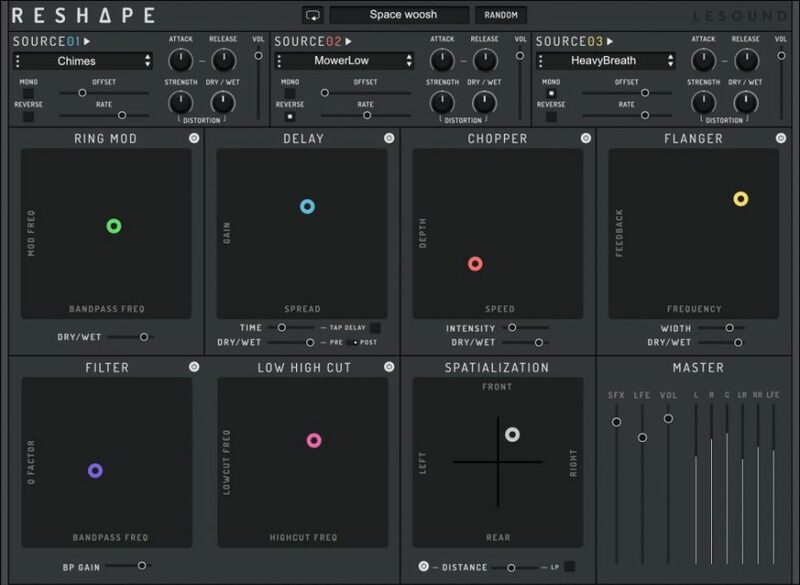 Reshape multi-effects include ring modulation, delay, chopper, flanger, filters, and spatialization. By means of mouse click with PC or finger touch on iPad/Tablet in the X-Y panel, it triggers the samplers playback with effects.